SyncMate allows syncing your Mac data with Android, iOS, and other Mac, MTP, or mounted devices, as well as with Google, Dropbox, and iCloud accounts. 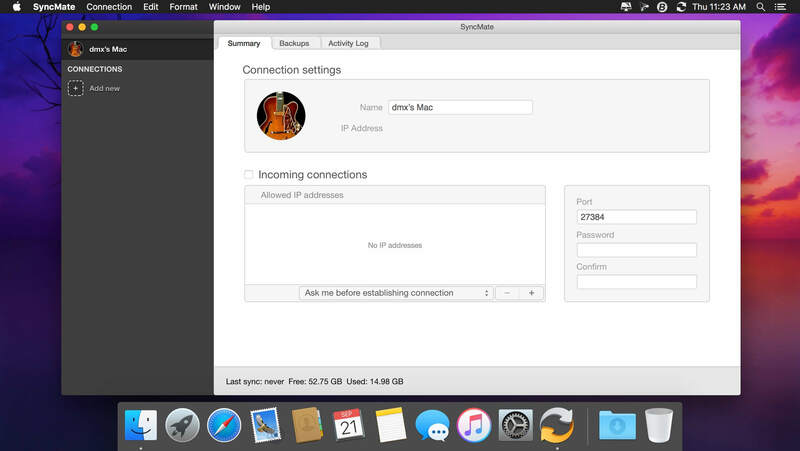 Free SyncMate lets you sync Contact and Calendar entries between Mac and supported devices. Sync with Google and Dropbox accounts is also available. 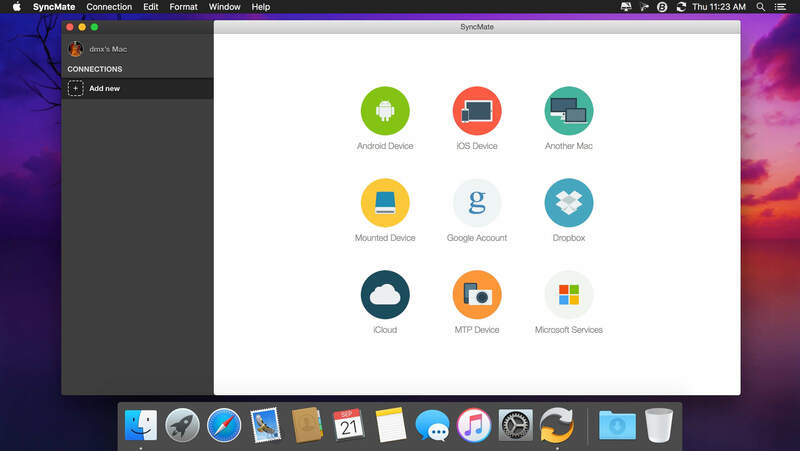 SyncMate allows reading messages from Android and iOS right on Mac. Expert Edition will sync iTunes, iPhoto and Photos.app, Safari Bookmarks, Reminders and separate folders (sync options depend on the device you are syncing). It offers AutoSync option which lets you set various parameters of automatic sync for any of supported device. You can sync Folders between Mac and mounted storage devices and other Macs in real time, i.e., once you have changed any data on your Mac or connected device, it will be synced immediately. With Expert Edition you can create, send, delete, search and export text messages from Android and iOS on your Mac. It also allows the conversion of videos to AVI, MPG, MP4, WMV, ASF, 3GP and audio files to MP3 and WAV prior to syncing them to device (Pictures, Videos and Music plugin). 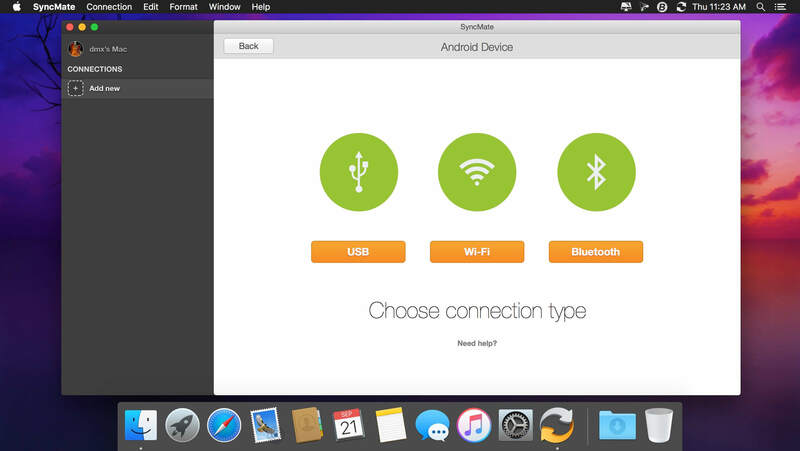 Sync can be performed via USB, Wi-Fi, Bluetooth and Ethernet (depends on synced device). SyncMate is compatible with OS X 10.8.5 and higher. Device compatibility: iOS 5.x-8.x devices; Android 3.x, 4.x, 5.x, 6.x, 7.x.